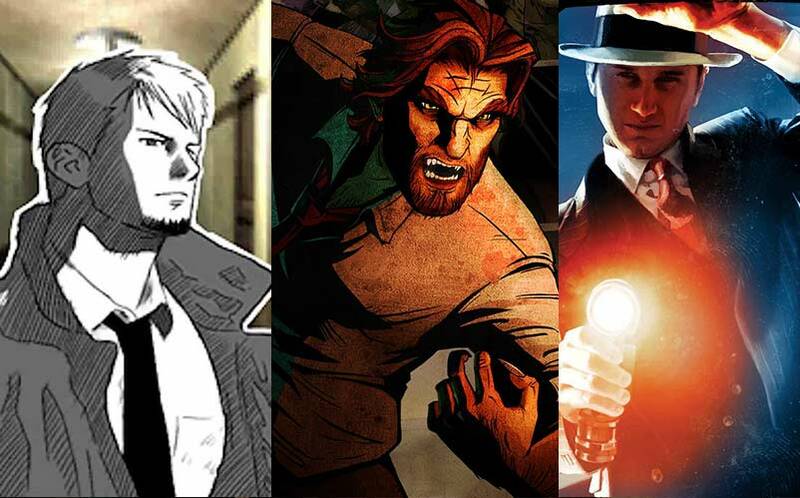 10 Best Detective Mystery Games You Have to Play (Updated) | Nerd Much? From the latest Criminal Minds or a James Patterson novel, there’s no doubt that crime and detective stories have made an impact on pop culture and media today. Something about solving mysteries is so enticing, especially for those who like to think, solve puzzles, and guess the culprit. Like stories and novels, detective games place the player inside the mystery, allowing them to investigate scenes, question witnesses, and search for the truth. You are probably thinking that a series about a lawyer would be a stretch to include in a list of detective video games. In our world, detectives are the ones who gather evidence, while the lawyers use that evidence in court. However, Phoenix Wright’s adventures feature a legal world where although there are detectives, it’s up to the lawyers to investigate scenes, talk to witnesses, and gather evidence that can combat the “guilty until proven innocent” mentality. The entire Ace Attorney series lets the player interact with crime scenes, often allowing them to see the body moments after a murder occurred. 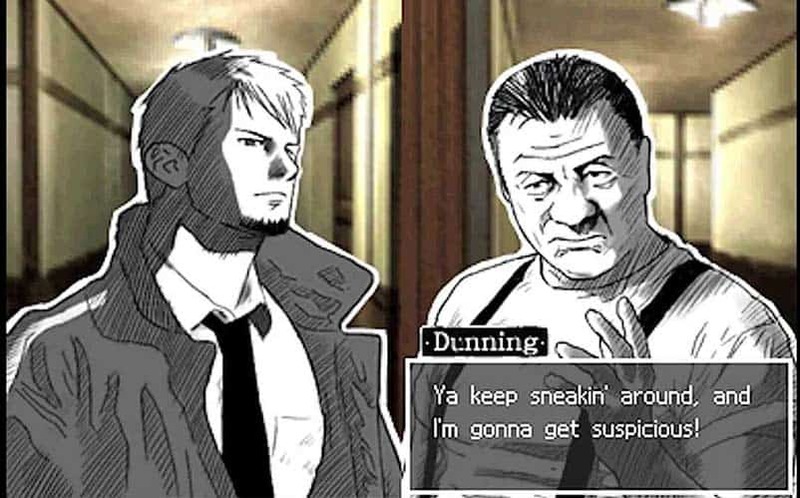 Players use a point and click style of gameplay to search through scenes, question witnesses involved, and gather as much evidence as possible to counter testimony in court. The Ace Attorney Investigations spinoff in particular really focuses on environments/evidence outside of the courtroom. Either way, Ace Attorney is great for any of those looking to get the experience of a detective game with epic court arguments that expose the truth. The year is 1986. Several characters from popular fairy tales have made a home in Fabletown, a city that houses both fables and humans. To live in the human world, all fables must have access to glamour that masks their true selves. This is a heavily enforced law that is often broken, but Detective Bigby Wolf, or the “Big Bad Wolf”, is on the case. Players take the role of Detective Bigby in the gritty, violent world of Fabletown. Full of poverty, criminal activity, and questionable characters, the twisted fairy tale world of Manhattan is perfect for a detective story. In this series, players must make decisions that effect the outcome of the story, which includes dialogue options and investigating areas. The characters are interesting and are awesome twists on their “fable selves”. Players can go as far to use different interrogation methods that decide Bigby’s fate. 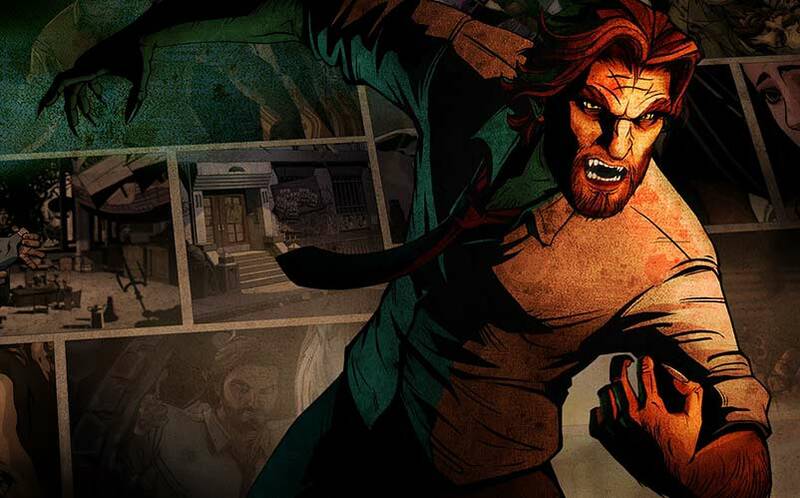 The Wolf Among Us is impressive and puts a supernatural twist on the detective genre. Combining dystopian themes and the detective genre, Danganronpa definitely deserves a spot on this list. The concept is weird and unsettling, but is very unique and features interesting characters, each with special talents. The setting is Hope Peak’s Academy, a prestigious high school that seeks potential students out from around the world, each having a talent to graduate as an expert in their field. However, a student who won the lottery to get in finds himself in a nightmare when students are trapped in the school and forced to play a “killing game” if they ever want to see the outside world again. The setup of Danganronpa is this: Students are provided with motives for murder by the creepy Monokuma (a robotic bear). If someone commits a murder, then a class trial will occur. Students vote on a culprit, and if they are right, the culprit is executed. If they are wrong, then the killer escapes and everyone else dies. Class trials are different than Ace Attorney, involving the collection of evidence called truth bullets to shoot at a classmate’s statement. There are also debates, arguments, and more that are presented as minigames. You really have to use your head to keep up with the fast pace and the numerous and crazy ways the murders are committed. The first game takes place at Hope’s Peak, while the second game takes place at an island. Danganronpa is super fun for any detective or visual novel fan. One key to a good detective game is the environment and setting, and Hotel Dusk certainly delivers. Differing from the traditional detective/click and point adventure games, Hotel Dusk: Room 215 depicts one setting and an intriguing mystery that satisfies any fan of the genre. This game follows former NYPD officer Kyle Hyde who is now a traveling salesman. He takes a stop at Hotel Dusk, a quiet, beat up motel in Los Angeles. Kyle is on a mission to find his former partner, and discovers that the hotel he is staying at has many mysteries and relations to himself. In this game, players must talk to many of the people staying at the hotel as well as the workers to gain information. Players must solve puzzles and investigate environments that will lead Kyle closer to coming to terms with his past. This game is a really charming DS game that is severely underrated, but gained a cult following when it was initially released. Like the Wolf Among Us, many games have taken the form of an interactive movie, replacing systematic gameplay with dialogue choices and limited movement. Heavy Rain is one of the most well known interactive movie games that lets the player take on the role of four characters in the search for the Origami Killer. The characters include a father whose son went missing, an FBI agent taking on the Origami cases, a journalist looking into the cases, and a private investigator who also is performing his own investigation. As each of these characters, players must make choices, many of which can change the outcomes, endings, or mean life or death. In most games, even in the detective genre, if a main character dies, it would be considered a “game over” or force the player to backtrack. However, Heavy Rain is different. Maybe you spend too much time snooping which leads to a life or death situation. Perhaps you decide to comply to the killer’s game, risking other lives in the process. If you mess up, a character can die for good, simply skipping over their scenes in the later chapters. At one point, you may not gather enough evidence, which can lead to the killer getting away in the last chapter. Every decision counts, so make sure to look at everything to solve the heart pounding and intense mystery. Want to know what other PS4 games are on the way? Check out our coverage of the latest PS4 news. Text based adventure games used to be one of the most popular genres, especially in the 1990’s and the popularity of computers increased. The Tex Murphy games are classics, following a private investigator in a post apocalyptic world after WWIII. There are many noir like themes in the games, as well as futuristic elements to make it a unique spin on the detective genre. In the older games, Tex Murphy was presented in live action. However, a few years ago, there was a revival of the series after more than a decade hiatus. This game was called Tesla Effect, and is recommended for longtime fans of the series. Although a lot of detective games follow the “solve the murder” formula, The Vanishing of Ethan Carter follows paranormal investigator Paul Prospero’s investigation of Red Creek Valley, Wisconsin. A 12 year old boy named Ethan Carter wrote a letter to him, which is why he ended up in the mysterious town. There has been some distinct paranormal activity in Red Creek Valley, as well as occurrences of violence. Players navigate a linear, open world to uncover the mysteries about the town as well as Prospero himself. It received critical acclaim and received the Best Game Innovation Award from the British Academy Games Awards. It is currently available for PC and PS4. When thinking of paranormal detective stories, there is another title that comes to mind, Deadly Premonition. This game is interesting, unique, and has a cult following like many of the titles on here. Players take the role as FBI agent Francis York Morgan, who is investigating the Raincoat Killer. The game is so unique in the fact that characters have daily schedules, and that the protagonist requires food and sleep, kind of like the Sims series. It’s an open world game and it’s realistic since cars must be maintained and players must keep in-mind the time of day and the NPC’s schedules. Players are awarded for both minute and major tasks. There are supernatural elements that involve fights with another world, as well as the daily detective life/investigations. The sense of humor in the game is reminiscent of dark comedies and is very odd. Many people either absolutely love or hate this game, but it doesn’t hurt to give it a try. As realistic as a detective game gets, L.A. Noire depicts the gritty world of Los Angeles in 1947. Players take on the role of officer Cole Phelps, solving cases from five separate divisions and ranks, from police officer to detective. Players navigate the large open world, search for evidence, find witnesses, and drive to several destinations. It’s probably one of the most expansive detective games to date, and it spans across two discs. For each case, players have partners who assist them on missions. Gameplay involves interrogating, which allows the player to judge the varying statements of the suspects. There are also driving and shooting portions in some of the more intense cases. 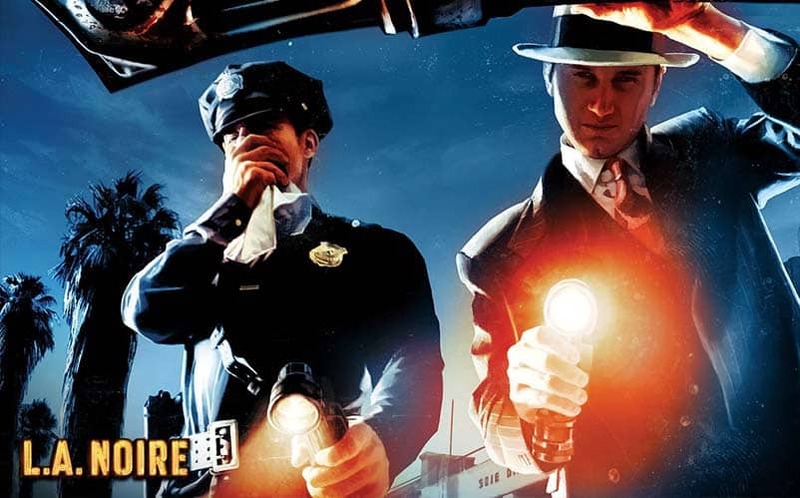 L.A. Noire is definitely one of the most underappreciated titles from the last generation. Kidnapped and trapped, nine people are chosen to participate in the Nonary Game. This sinister game quickly becomes a matter of life and death, where the only way out is to solve challenging puzzles and make fast decisions that affect the outcome of the game. By definition, the titles in the Zero Escape series aren’t exactly detective games. However, the escape the room puzzles and choices give the player the same feeling, as they must figure out the mysteries behind their participation in the game, who Zero (their kidnapper) really is, and why the Nonary Game exists. There are also times where the players must figure out who the “killer” is, especially depending on the ending. Zero Time Dilemma, the next entry in the series, is going to be out this month, taking place between the first two games. Zero Time Dilemma is set to have even more moral choices than 999 or Virtue’s Last Reward, and will be an awesome mystery waiting to be solved.